Eight information screens are spread around the fair. Your products can be displayed in HD on these screens. There will be up to 4 films in a sequence. For more information and prices, please contact us using the contact form. Eight information screens are spread around the venue at strategic locations. Your logo is displayed on these screens. Organise your exposure today. We have various options. We will place a photo wall of 5 metres wide by 2.5 metres high in the entrance hall. It will be placed next to the ticket access control. All visitors and exhibitors enter the fair through this access control. Your company will definitely be noticed. 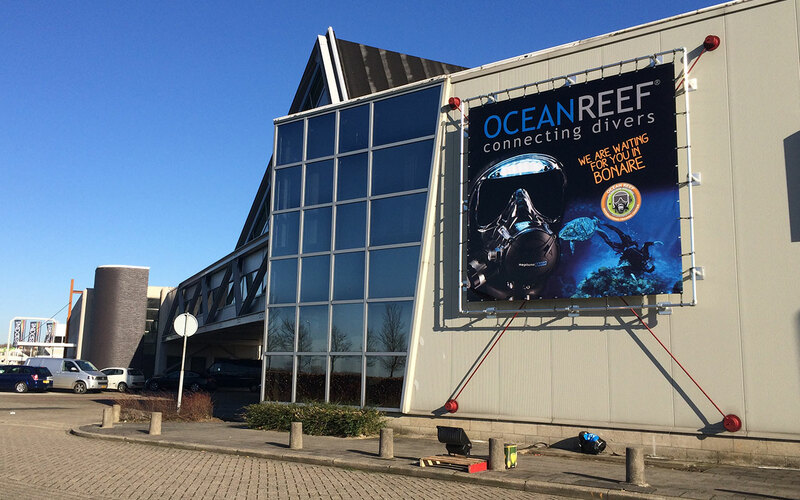 There is space for 4 banners of 3.5 metres x 3.5 metres on the façade of Expo Houten. The banners are clearly visible from the carparks. 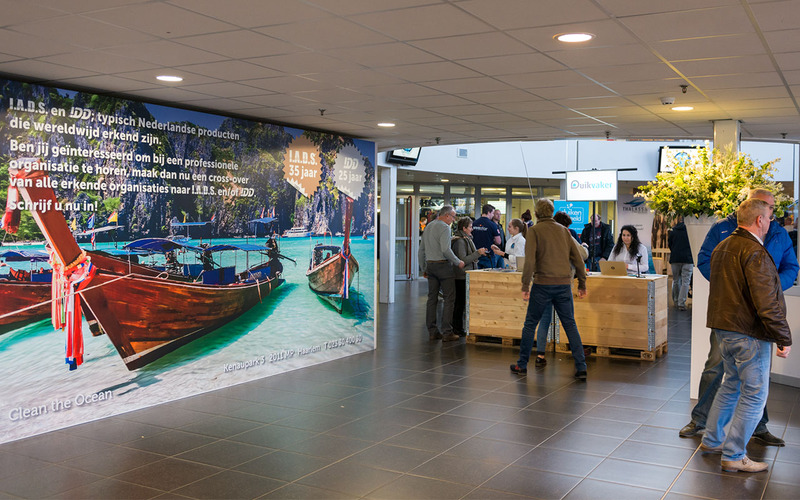 Furthermore, more than 40,000 cars pass the Expo Houten on the A27 every day. Your company will be clearly visible to many people! The map is enclosed in the fair brochure. The brochure is handed out to everyone that visits the fair. 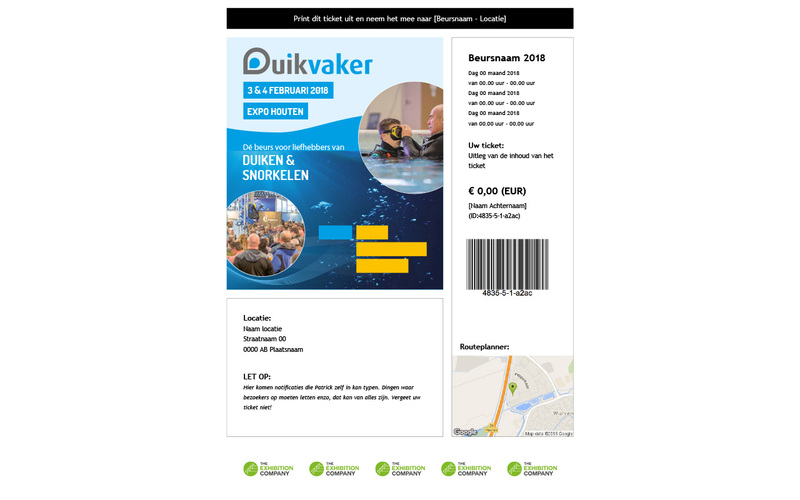 Most tickets are ordered online and each visitor receives a digital ticket. We can place your logo, company name, hall and stand number on the tickets. 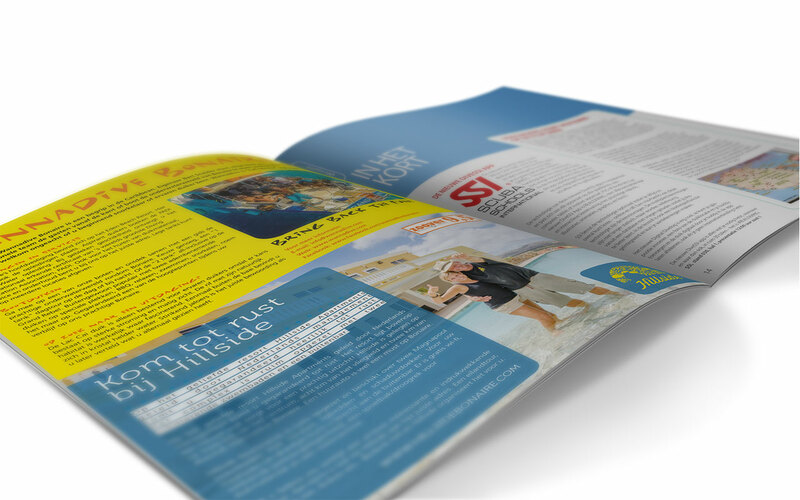 Place a whole page or half page advertisement in the fair brochure. Every visitor is handed a brochure upon entry. The brochure contains articles, the map and the programme.